Home / SEO Articles / What is Off Page SEO? Off page SEO refers to techniques your can use to improve the position of a web site in the search engine results page (SERPs). Many people associate off-page SEO with link building but it is not only that. In general, off Page SEO has to do with promotion methods – beyond website design –for the purpose of ranking a website higher in the search results. Search engine optimization is the term used to describe a set of processes that aim in optimizing a website for search engines. SEO is important not only for getting high quality visitors from search, but it’s also a way to improve the user-friendliness of your website and increase its credibility. A web site that is high quality and useful is more likely to have references (backlinks) from other websites. It is more likely to have mentions on social media (Facebook likes, tweets, Pins, etc.) and it is more likely to be bookmarked and shared among communities of like-minded users. Increase in PageRank – Page rank is a number between 0 and 10 which indicates the importance of a website in the eyes of Google. It is the system invented by Larry Page and Sergey Brin (Google founders) and one of the reasons that Google was so successful in showing the most relevant results to the searcher. Page rank today is only one out of the 250 factors that Google is using to rank websites. For example, if someone likes this article and references it from his/her website or blog, then this is like telling search engines that this page has good information. Notice that I used the past tense to describe all the above methods because not only they do not work today, you should not even try them. If you try to ‘trick’ search engines building artificial links, you are more likely to get a penalty rather than an increase in rankings (especially when it comes to Google). Google has become very intelligent in recognizing black hat techniques and with the introduction of Panda, Penguin and Hummingbird (that’s how the Google Algorithm releases are called), they have managed to solve the problem and protect their search engine results from spammers. Of course there are still exceptions but they are doing advances in every new algorithmic release and soon enough none of these tricks will work. In addition to the above and in order to give webmasters a way to link to a website without passing any ‘link juice’ (for example in the case of ads), search engines introduced what is known as the “nofollow” link. This is a special tag you can add to a link (for example: “<a href=http://www.somesite.com rel=”nofollow”>Some Site</a>) that tells search engines not to count the particular link as a ‘vote of trust’ to the referenced website. This was done so that you can link to other websites from yours without taking the risk of being caught for selling or exchanging links. First, you should understand that link building it’s not only a matter of quantity but it is a matter of quality as well. In other words, it no longer matters how many links are pointing to your website but it is more important from where these links are coming. For example, a link from a normal blog does not have the same ‘weight’ as a link from New York Times or a link from Matt Cutts blog (former head of Google Quality team) is not the same as a link from my blog. The obvious question is, how to you get these links? It certainly does but you have to try really hard to get to this point. Take for example this blog, there are many incoming links because other webmasters find the content interesting and I also link to other sites in my articles because I find their content interesting and want to inform my readers about it. This is natural link building, a link has more value from the reader’s’ point of view rather than the search engine’s point of view. 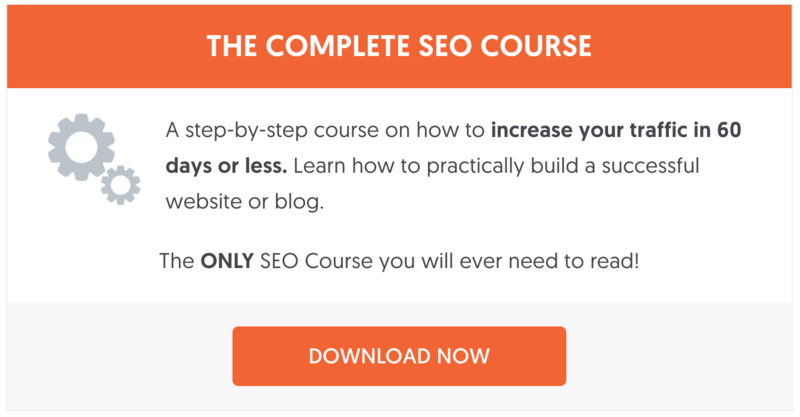 Lesson 12 of the Complete SEO Course describes in a step-by-step approach how to approach link building and how to to get high quality links from premium websites that can make a real difference in your rankings. Off-page SEO is as important as on-site SEO. If you want your SEO campaigns to be successful you have to do both. When thinking about link building don’t take the easy way, but try to get links from hard-to-get places. The more difficult is to get a link, the more value it has. In the past, you could easily get thousands of links and rank higher but nowadays you have to do more than that. My advice is to forget about link building all together and put all your efforts in making a great website, promote it correctly and everything else will follow. Alex i am in confusion that those link building methods which you mentioned above that is worthy or will it be count in spam links or not ? please explain that will it works ? You can read how I approach link building and from where to get valuable links that matter in Chapter 12 of my SEO Guide. I read your article and the majority of it makes sense but some of the content seems to be conflicting in nature. How does a search engine recognize that a webmaster “likes” your content therefore “naturally” adding a link compared to a webmaster just adding a link because you asked them to? Is it because they place it in an article instead of a stand alone link? Is it the time frame in which a reciprocal link is placed? I think there is confusion because there is no real explanation, just a statement of ‘not to do it’. Search engines have build intelligent patterns over the years that recognize natural links from artificial links. It’s not as hard as it sounds, the experienced eye can easily distinguish between good and bad links and they have managed to transform this into automated checks build in their algorithms. The best thing you can do is to stay away from anything that can get you into trouble either now or in the future. White-hat SEO methods (which also includes link building) is the best approach to follow. So you mean to say on page SEO is more powerful than off page. BTW nice article. it helped a lot thanks. You need both on-page SEO and Off-Page SEO for the best possible results. Once you get on-page SEO right then spend your time and effort on Off-Site SEO. That is a great suggestion for new blogs. Whenever I start a new website or blog, I do not build links from the beginning instead focus on growing the blog first. However I do create profiles on major social media websites and also Q and A sites like Quora and also a few niche websites and try to do branding by regular posting, answering questions etc. The idea is not to get backlinks but to increase awareness about the brand and get some direct traffic too. That’s a very good approach. Off page SEO is not just for getting links but also for increasing brand awareness. Hi Alex! Great post, very clear and concise advice about off site SEO. Eilidh Hi and thank you for you nice comment. Great article, Alex—I learned a lot. How are unnatural links defined? And how do determine what is unnatural or what is in violation of Google/search engine rights? Can you please see my reply to @joydeep below? I will try to address this issue in a new post with hopefully better explanations and examples. Artificial links: When you buy , exchange or ask someone to place a link for the purpose of getting higher rankings. Hello Alex! I have question about your post.. Someone told link exchange and comment posting is black hat technique ins’t rihgt? It depends on how it is done. For example if you engage into a conversation in the comments area, you may place your link so that the other participants know to whom they are talking about. On the other hand if your name is ‘Off page SEO’ or anything else with a keyword in it, then something is wrong. In general, I don’t believe that these 2 methods offer any value and I personally do not recommend using them. This article is very helpful to me.I am new in SEO and know about the ON-Page SEO but still confused in OFF-Page SEO. Can you please elaborate the link-building in terms of OFF-Page SEO.? How it works and how to do it very effectively? I have a dedicated chapter on link building in my SEO Guide, with examples and step-by-step instructions. You can also check out https://www.reliablesoft.net/improve-google-rankings/ (there is a section on link building towards the end of the post). Thank you for posting this post, we apperciate your post on Off page SEO refers to techniques that can be used to improve the position of a web site in the search engine results page (SERPs). Many people associate off-page SEO with link building but it is not only that. In general, off Page SEO has to do with promotion methods – beyond website design –for the purpose of ranking a website higher in the search results. 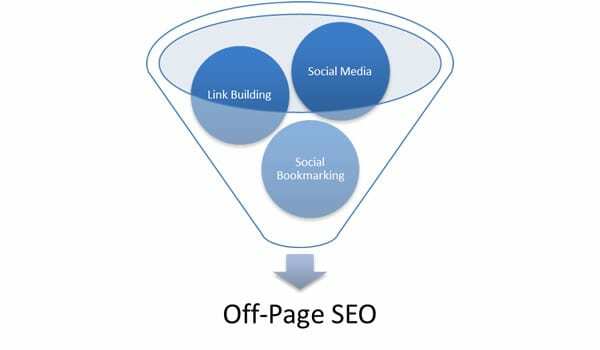 Thanks for the post on off pages SEO, it will be helpful the new seo provider, off page SEO always based on On page seo. I’m doing SEO for several projects these days and all are on the first page of Google. But, here you mentioned forum commenting with links in signature and blog commenting with links as a black hat, or in simple terms, they won’t do any good! I have been doing 10 blog commenting and 5 forum posting everyday for all my 6 projects. Am I doing spamming? Then why is it not hurting me? I think there must be something which I don’t understand about SEO. Please share your views so that it may help me to better my SEO skills! In my opinion yes you are actually spamming and sooner or later you will lose your rankings and most probably get penalized for that. I have already explained above how I believe you should approach link building and which is a safe and white hat approach. Really a nice article on OFF-PAGE_SEO I have read. Thanks to Alex for this useful article. When thinking about link building don’t take the easy way, but try to get links from hard-to-get places. Really a super guidance by you about SEO. It is interesting to read and simple to understand of every concept regarding SEO in this post that which I liked. Thanks. I have a website where i provide links of lots of websites e.g. social bookmarking website, article, blog, directory submission websites and lots more, So do i have to use no-follow tag for these links. Please tell. And yes i want to use google adsense on that website so can you please suggest me that what should i take care of developing that website. Yes, definitely you need to use the “nofollow” tag for the links. Google is updating it algorithms day by day and banned many off page task. Can you please tell me which off page should we perform for the better result? This will help me lot. Publish content that is so good so that it can attract natural links. It takes a lot of effort but it works. Hi Alex, Great Article i can see that this article was written in May-2013 and after more than 1 year it is still valuable or should i say it is more valuable now. The article was last updated in December 2016 and it is true that it is more relevant now than the date it was originally published. you have written “social media profiles can also boost SEO”. I have a question regarding this, this is what that we call as Profile creation(a off page seo technique). No, it has to do with optimizing your social media accounts, just like you do with on-page seo for posts or pages. I have a dedicated article for this (click the link from the article for more details). Hello Alex A very good article i found here. thanks for sharing. Very good and clear article I found. I will follow all the steps on my blog. Thanks for sharing. Great post Alex, Thanks for sharing with us.! great blog thanks for sharing, it gives a great valuable information about SEO and something is unique in this blog. I got an unique and informative post about off page seo. All these days I though only On Page SEO will be highly useful for getting traffic. But after reading your article only I came to know the importance of Off Page SEO. Now i realized how important Off-page seo really is. Thanks for sharing this infortation. learnt a lot abt Off page SEO….Thanks nd keep writing. Thanks Mr. Alex Chris, your article is very helpful. thanks for very well-detail blog.. it helps me a lot.. i got a better understanding between on page and off page. Thanks Jay, Glad I could help! Thanks for this great blog. This blog gives the latest ideas & concepts about seo. It is very good post about off & on seo. I got new techniques for seo strategies. Really, this is very great post, so I love this post very much. Thanks a lot for your kind words, really glad I could help. Hey, this is really a nice post. Thanks Alex For Raising Very Important Point. Off-Page seo does’t means Link Building, well let Me share My Personal Thoughts here, I use Q&A to help seekers and get visitors, I write articles on educational sites and redirect visitors to my website, I use community Forums like Inbound, apsense, warrior Forum, growth hacker, entrepreneur etc where I find Like-Minded people, I use yahoo answers. Hope these Off-Page Factors are very Important ,I read your small but Informative article many times and relate few Things and here is my comment. thanks for writing something Useful. Anything you can do to raise awareness for your website that is according to the Google webmaster guidelines is important, whether you call it link building or something else. Thanks a lot for sharing such a great information about SEO Off page, the given tips will defiantly be useful for everyone to increase his web rank and traffic. A Great and informative SEO Guide. After publishing the post, I’ll start following Off-Page-SEO rules – Internal linking, blog commenting on other sites using the post link (Building Backlinks), social sharing and bookmarking as well. Actually i was in confusion on off page SEO tactics..but this article clarified all confusions and cleared the doubts..Good article.. very helpful… Thank you. Off-Page SEO is really good when building links but you have to be careful and try not to look like it’s a spam link. Remember, Google always crawls and updates every year. So if they found out you’re just doing spam, they might lower your website’s or keyword’s rank. This is grea stuff Alex thanks for opening up things in more detail. I’ve come to learn on our own company page, where we also have a blog, that as soon as we post a new blog post we suddenly start to get these really awkward off the topic comments. That is clearly some people trying to build links in very unprofessional manner. We have good plugins in place, however, to report these as spam but I wanted to know how do they in fact detect that we have a new blog posted ready for comments? Excellent off page optimization guide. I am reading many blog but your content language is very simple and understanding. good work. Thanks for sharing useful information about off page SEO. This is a very informative article about link building. Thank you for the article, it was one of the few on the web which it included some new info. I’ve started a project which i have hundreds of qualified rivals ( providing wallpapers ), and i have done all i could for the on-page seo (everything i learned from guides). Because of this i tried a new approach to develop a wallpaper website such as making it responsive, adding mega menu, sliders , blog for photo lovers & … which other websites don’t have. But still it seems like there is something obvious missing, and most of the seo experts i try to hire will ask for at least a thousand of dollars (which fries my brain). The website is up for over 3 months and i’m getting like 1 visitor from search engines each day( GOD!). Is it normal for a new website to draw such low traffic from search engines? do i have to do off-page seo too or am i really missing something? Also thanks for the E-Book! Thanks for your comments. 3 months is not a lot of time especially in a very competitive niche like yours. What you should do is differentiate your content from competitors and try to make it easier for search engines to understand your pages (for example by adding small text descriptions for each wallpaper). Yes, definitely you should also consider off-page seo and start promoting your website on other websites. Thanks for sharing useful information about On & off page SEO. Can you tell me that off-site is essentially just your site’s link being on other websites and media for well more traffic on your site? There are two types of SEO: On Page SEO and Off Page SEO. On page SEO is related to your blog design, keywords, content writing skill and more. Off page SEO is link building techniques. This way we can promote our blogs. Your article is really informative. It will be helpful. Thanks for sharing. Off site SEO is as important as on site. It shows the popularity of your website by counting backlinks. I want to know Still page rank is considered as google ranking factor?? Or Is it true more importance given to now DA and PA? PageRank it’s still used as a ranking factor. Google confirmed this last week (February 2017) but it’s only one of the many factors used for rankings. DA and PA are also part of the ranking algorithm. Hi, I just started my site like a week ago, most of the on page SEO methods are directly done from following your posts in here. I am still learning and would appreciate your advice on where to improve and how. It’s very helpful to understanding On Page SEO techniques. Thank you so much for sharing this important content. Hi Thanks for sharing this article It’s very helpful for both off page and On Page SEO techniques. Really this is an awesome and very informative article you post #Alex, I am so glad to see your research and knowledge. No doubt Off Page SEO is most important for rank your SERPS on search engines. This one is quite helpful in how to promote your business through to the audience. Excited to follow all of them for my website for great results. Off-page optimization is very crucial for site rankings. Thanks for sharing a Great Resourceful Article. Keep sharing such useful content. Thank you for sharing your views on Off page optimisation. It has been a great parameter that is taken into consider by the google. Every site might strengthen their off page works to make their site rank higher. Thanks a ton for sharing such a great article along with excellent off page SEO tips. Off-Page optimization is an essential thing to focus on to rank any keyword of the site. I appreciate the hard work you’re doing to write these long articles to help newbies. Hey thank you so much for this elaborated explanation for SEO and i really found this is one of the best SEO write as this article deserves to be at 1st page. Hats off to you sir. Keep sharing this kind of write ups and looking forwards to read more from you. I like all the detail in this post! And I agree, understanding the intent of the person searching for information goes a long way to delivering high-quality content to them. At the end of the day, it comes down to trying to serve people better. Great post! Though I am new to SEO, I understood all the points mentionedd. However, I couldn’t get the concept of nofollow link? It would of great help as well as a value addition to your website, if you could write a detailed post about no follow link? This article: https://www.reliablesoft.net/clean-bad-backlinks/ will help you understand the difference between nofollow and dofollow links. 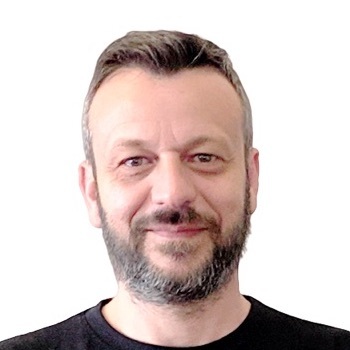 Hi Alex, it great to understand off-page seo, Do you have any similar video which will help to understand better? Because video is more effective to understand then documentary. A Video tutorial is currently being prepared. Make sure you subscribe to my newsletter to get notified. I think nowadays with the google new updates about backlinks, less backlinks generate better results. I agree with you. The more difficult is to get a backlink, the more valuable it is. Impressive work Alex. Nice research done by you. In my view both OFF and ON page SEO is important for good ranking of a website in Google. Thanks for this rich information. Hi Alex. This is a great article. It is necessary that a website has enough backlinks. But those backlinks need to come from good sources so as to maintain the sanctity of the website. I also agree with your point regarding social media. Having a strong social media presence also helps in link-building. Your writing skill is amazing and i have easily understand your article, so keep it up. A thoroughly written and very easy to digest article to understand off-page seo and how it works to secure high ranks in search engine results. It was an amazing read for the day, thanks and keep sharing with us. First of all, I give you thanks to such as you shared a great information about the Off page and on the page. I am really impressed by your writing style. One thing I want to ask you, Why we use the no-follow tag and what is its pros and cons? I am a beginner in this field so please clear my doubt. Thank You !!!!!!! once again. Use the nofollow tag when you don’t want to pass pagerank from one page to the other. Cases like paid links, link ads, keyword rich anchor texts, should have the nofollow tag. Thanks you so much for the post..!! Now i can concentrate more on off page SEO to drive traffic to my website. Thank you sharing such a useful information with us. Its great post for purpose of ranking a website higher in the search results. Great post very helpful information to rank website in google Thanks for sharing such great information to SEO for beginners. I am learning a lot of SEO stuff from this page. It is everything that I needed to know about SEO strategies. Thanks for the insights. Thumps up. Thank you for sharing such a useful information about off-page seo. Explained it very nicely. It’s very helpful to understanding Off Page SEO techniques. Hey Alex, Great list of techniques. Social Media and Guest posting is a really effective way of building up your website’s reputation. Hi Alex, this post is really amazing and informative.. keep going. This article is helpful to undrestand off page seo. As a new Blogger I get confused between the schedule of work between article writing and off page seo stuff, How should one manage both the things at best as an individual. If you are starting out now then spend most of your time in creating great content. Once you are happy with your content quality, then you can start thinking about off page SEO. Very Nice Article in this article you have explained about on a page and off a page SEO it’s very useful. Thank you for sharing this Post. It is helpful for off page SEO techniques for my website. Thank you for this article. my focus has always been to build links and not necessarily provide value. I understand better now and on my way to providing good contents for my audience. Very well said, providing value for your audience is the best way to grow your website and this should be your focus. Really helpful article..Alex you described off-page very well. It’s very helpful for newcomer.Thanks for sharing this informative article..Can u described about link building?Where we put link, is any different platform just like social media and social bookmarking?